This might be a nice change and infuse some fresh air to the currently airing romance-centric dramas. I’m intrigued by these teasers, it looks like they’ll be incorporating mystery elements and moving episodic stories with characters that find themselves intertwine with the small bookstore. Lovestore at the corner (巷弄裡的那家書店) kind of reminds me of Amour et Pâtisserie (沒有名字的甜點店) because of its episodic format and how the characters are all related through a place, and in this scenario, the small bookstore in the alley. 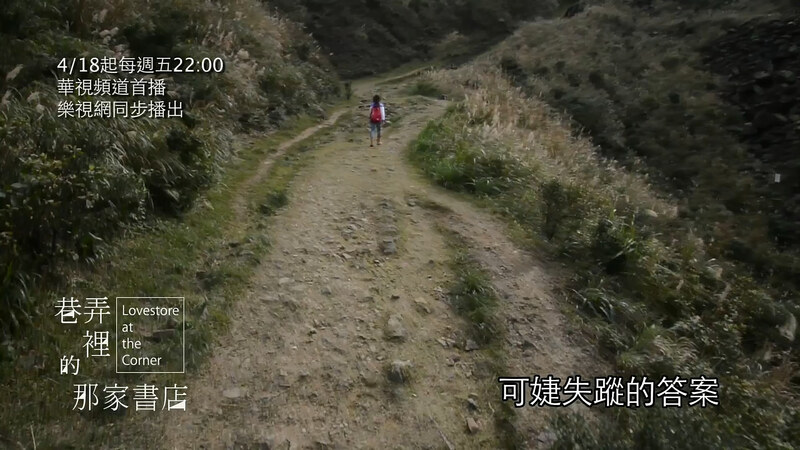 Amour et Pâtisserie has probably one of the best cinematography among Taiwanese dramas but the plot wasn’t as solid as I would like it to be, the pace was uneven and it even feels flat at times. There were several touching episodes but ultimately, I just felt it didn’t live up to my expectation. It wasn’t a bad drama but I was expecting it to achieve better results. 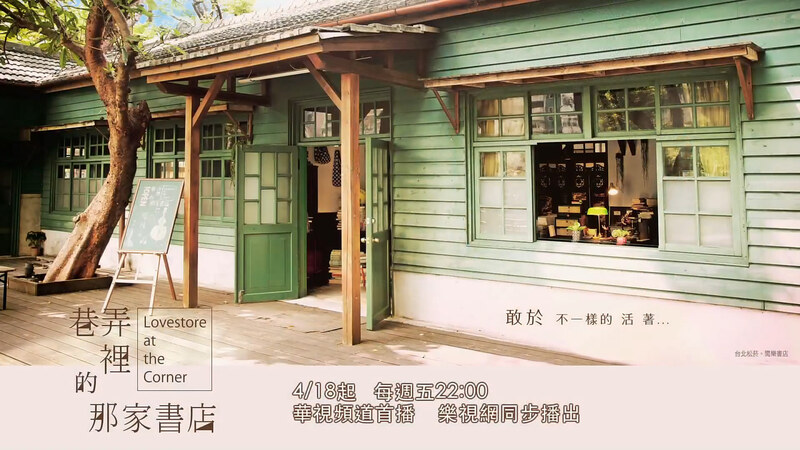 Set to premiere on April 18th, the friday drama time-slot of CTS, Lovestore at the corner feels like a feel-good drama and it seems more low-key than Amour et Pâtisserie. However, I think there’s more substance to the plot than Amour et Pâtisserie because of the mystery behind the disappearance of heroine’s sister. The cinematography looks amazing, the dark tones actually fits well with its low-key vibe. The setting in a small bookstore reminds me of the manga Biblia Koshodō no Jiken Techō, it was adapted to live-action Japanese drama but I only read the manga. The setting is quite similar in how they use the bookstore to connect the characters but Biblia is more like a detective story, focused on solving mysteries. Books can be really boring but I’m interested in how the producers will use it as a catalyst to bring people together. Books can tell thousands kind of stories but the main emphasis of this drama are the tales of people who own and treasure them. As I posted before, it is produced by Dreamland productions and the producers said that the romance is minimal so I don’t think we’ll be seeing a lot of the cheesy idol-drama romance troupes. Since it will be taking the friday drama time slot of CTS, it will be competing with SETTV’s new friday drama. I don’t know how it will fare against the ratings giant SETTV since CTS dramas are pretty bad with ratings but I’m sure it will be a lot better in terms of quality. This will be my first time seeing Nikki Hsieh (King Flower) in a leading role but she look pretty natural and I always find her pretty and comfortable to look in screen so this will be a treat. Lee Wei (Man.Boy) wowed me with his performance in the critically acclaimed thriller drama, Man.Boy (小孩大人) so I’m looking forward to his performance. he can get twenty million dollar if he recollect his memories. she thought that she could find her heart if she have twenty million dollar. Through the disappearance of a woman in the mountains, they met in the bookstore of an alley. Then after, they learn to forgive, found themselves and also found each other. – What happened before my sister’s disappearance? – There may be answers to Ke-Jie’s disappearance in those books. – Sister, where did you go? – To a big adventure! – Why does sister read books that are so difficult to understand? Will the sister in my memories really come back? Who can give me an answer? So, this is the reason you locked up this place, sister is really here! – These books are too old. I can don’t take your money, it’s fine. let them find people who treasure books. consider it as granting a wish of an old man. – Not long after she gave birth to Xiao-Ba, Wan-Rong fell sick. To not let her mom worry, she didn’t allow me to tell mom. – You’re such a foolish child. – Mr. Gu, we found “Look at the clouds” for you. She is always talking about her wish for mom to read her the story of “Look at the clouds”. – After he helped his mom arrange the utensils, he heads out and play at the opposite open space. – This afternoon, I found a small bookstore in Yi Lan. very soothing, try reading it yourself next time. Tags: lee wei, lovestore at the corner, nikki hsieh. Bookmark the permalink. I like Nikki Hsieh well enough, but I’ve only seen Lee Wei in fluffy rom-coms thus far so it’s nice to hear that you were blown away by his performance in Man . Boy! I’m also diggin’ the way the leads meet in the preview~ It feels very cozy and natural. Man.Boy is a great drama, his performance is pretty good in there because it’s not his usual range as he plays a criminal. Plus it’s a mini-drama, only 8 episodes or less i think so the pacing was just nice. Amour et Patisserie’s episodic format can be a hit or miss for me, some episodes resonate well with me, some does not. This one seems a lot better in its story execution as the central plot is the mystery behind the disappearance of heroine’s sister and Lee Wei’s change. I watched the longer preview, it looks even better than what I expected as Lee Wei will be someone who lost his memory and he’s the ex-boyfriend of heroine’s sister, but not a great boyfriend as he betrays her with her best friend. But he seems totally like a different person after he lost his memory, the tone and plot intrigues me so I’ll be watching this.